Melchora Aquino, also known as Tandang Sora,was born on January 6, 1812. Her parents, Juan Aquino and Valentina de Aquino were peasants residing in Pasong Tamo, Kaloocan. When Melchora Aquino became an adult, she married Fulgencio Ramos. Ramos was a cabeza de barangay, or leader/chief of a barangay. Together they had six kids: Juan, Simon, Epifania, Saturnina, Romualdo, and Juana. She was later widowed and left to take care of her six children. Melchora Aquino was 84 years old when she became involved with the Philippine revolution. She largely contributed to the Katipunan and was nicknamed the Mother of the Katipunan. Andres Bonifacio, the leader of the Katipunan, consulted her several times for his large decision making for the organization. The first open act of defiance against Spain was at her eldest son’s house during the 1896 Cry of Caloocan. Approximately 1,000 Katipuneros came together to tear their cedulas, or community tax certificates, given to them by the Spanish. Tandang Sora used her home to host several secretive meetings for the Katipuneros. During this time she would cook for those who attended the meetings. She also used her home to nurse several Katipuneros who became injured after battle. On August 24th, 1896, the presidents of the Katipunan had a meeting in Tandang Sora’s house when Spanish officials arrived. Her and her family fled to a nearby town to hide but was shortly captured five days later. Her, along with 171 other Filipinos were exiled to Guam. She later returned to the Philippines on February 26, 1903. 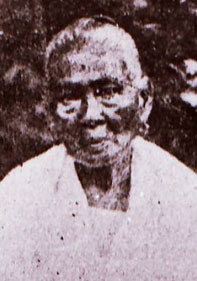 Tandang Sora passed away at the age of 107 in her daughter’s home on March 2, 1919.